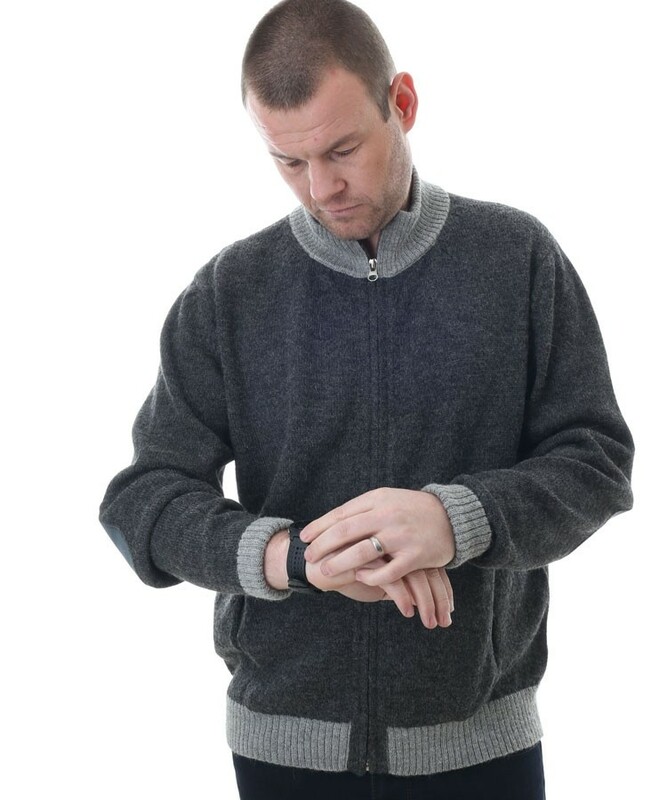 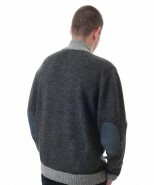 Mens alpaca sweater by The Alpaca Clothing Co, style Ishmael. 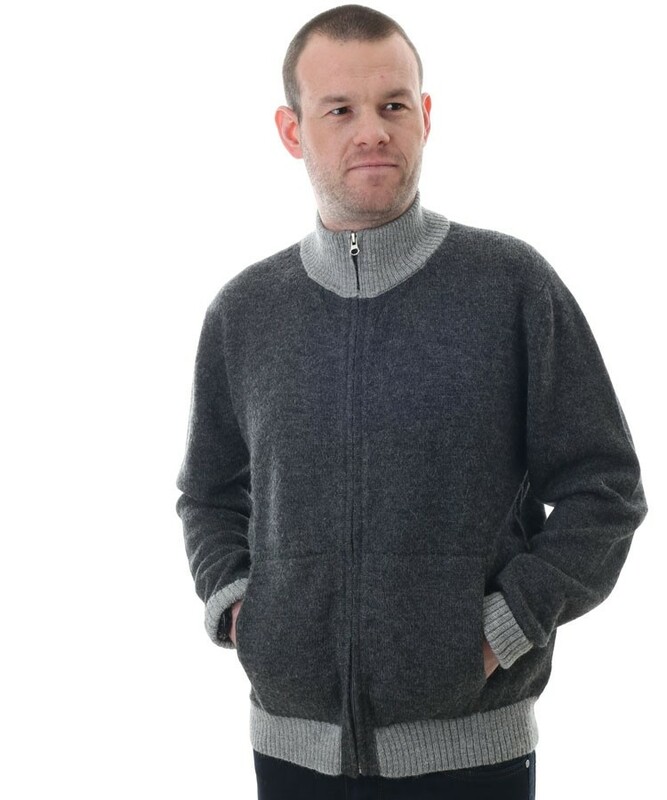 Two tone casual zipped sweater knitted in super soft and super fine Peruvian Alpaca. 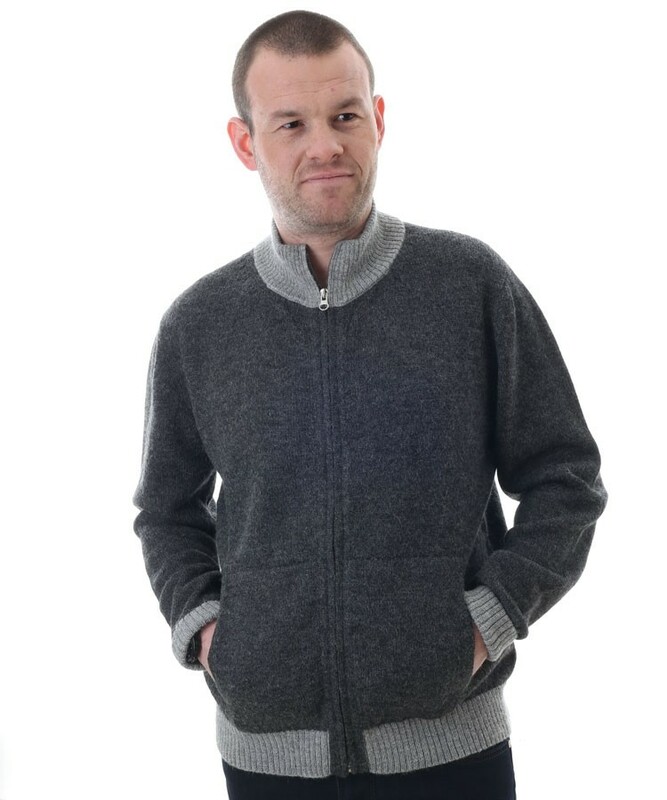 Provides warmth and comfort and will last for years to come. 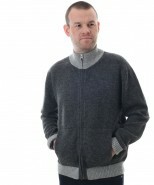 Features side slit pockets, a full zip and faux suede elbow patches.